BIG SURPRISE! 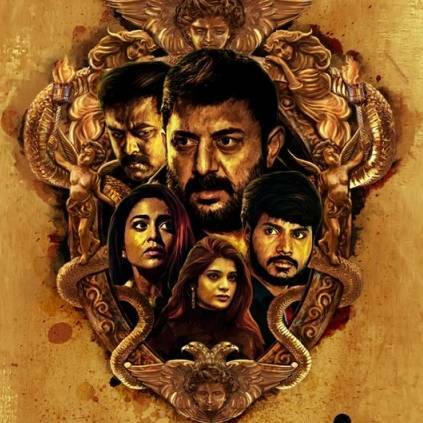 NARAGASOORAN FINALLY CLEARS THE BIG TEST! For quite a long time, we have not had any updates from the team of Naragasooran. The Karthick Naren directorial faced a few hurdles when the issue involving Gautham Menon surfaced on the internet. Now, the young director has taken to his social media page to give a big update on the film! He tweeted, "#Naragasooran censored as U/A with no cuts. Runtime : 1 hr 50 mins. Release date will be announced soon. Trailer on the way :)"
With a trailer expected anytime, it seems positive that the film could find a release date very soon. The film stars Arvind Swami, Indrajith, Sundeep Kishan, Shriya Saran and Aathmika in the lead roles. People looking for online information on Arvind Swami, Karthick Naren will find this news story useful.